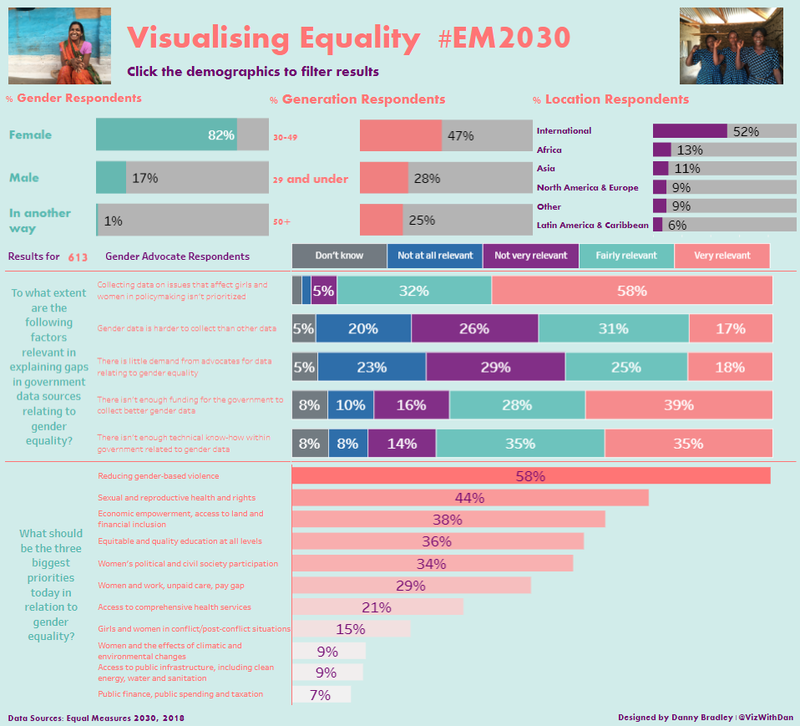 EM2030 is all about making data more compelling, accessible and available to gender equality champions and through their data visualizations, the Makeover Monday community is helping us to achieve just that. 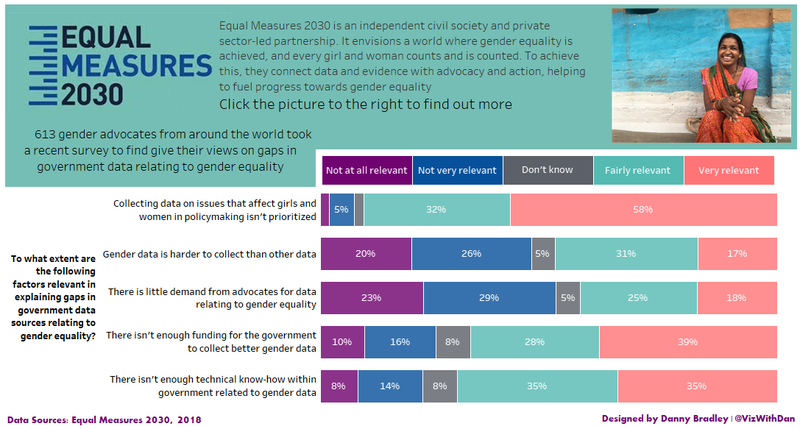 Through their support, skills, enthusiasm and engagement, the data community helped us to bring the voices, insights and opinions of more than 600 gender equality advocates to life in a more humanized and compelling way. 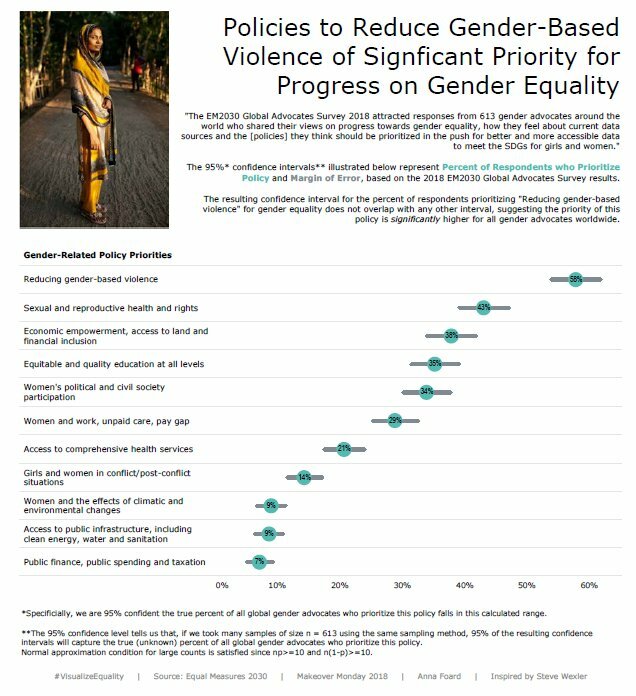 Through their work, we presented these key advocates survey findings to other gender equality champions, private sector, and policymakers during our side-event at the UN General Assembly. 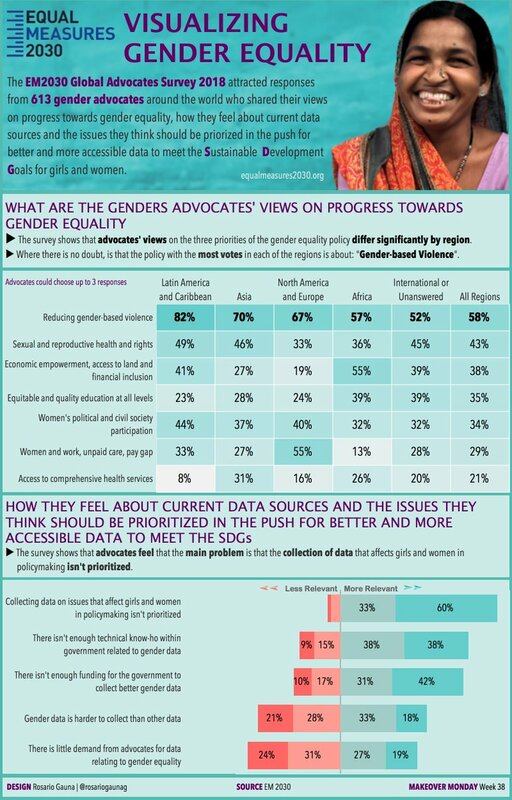 We hope to continue working together with the Makeover Monday community, as we bring together data users, data producers and data communicators to help #VisualizeEquality and bring key issues impacting girls and women to the forefront and into the spotlight. 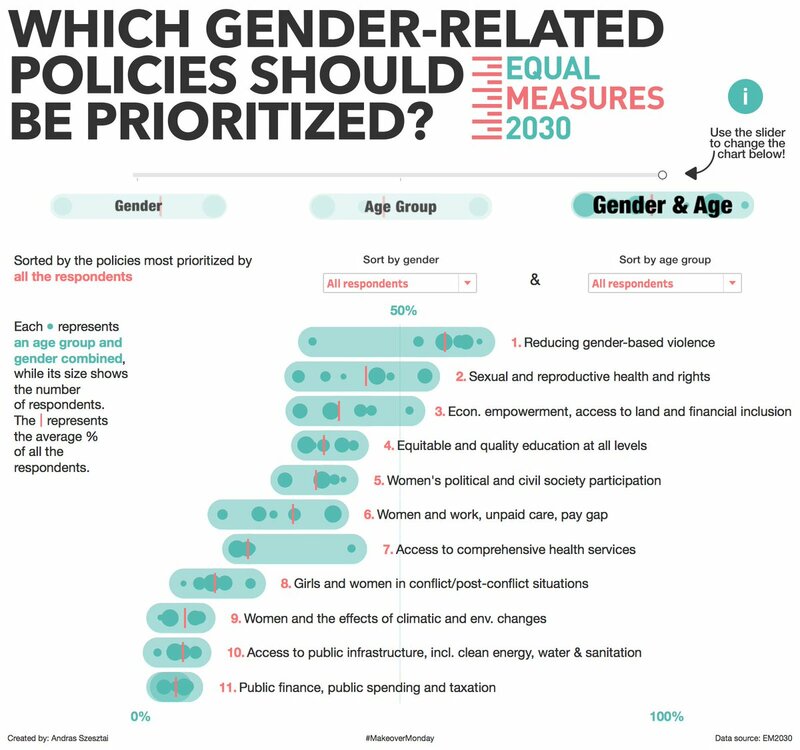 This was our second collaboration with them this year, the previous analyzed how well informed policy makers across different countries are about five particular issues relating to women and girls. 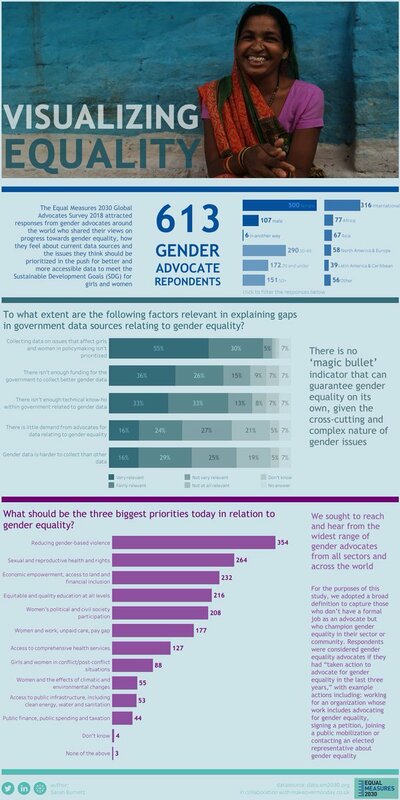 The focus for this collaboration was on gender equality. Well done everyone! What do the colors of the text mean? What a difference! Color is now only used when it means something. The text is now black instead of various colors. Everything has been simplified, allowing the data to communicate without competing for attention. Well done Danny! 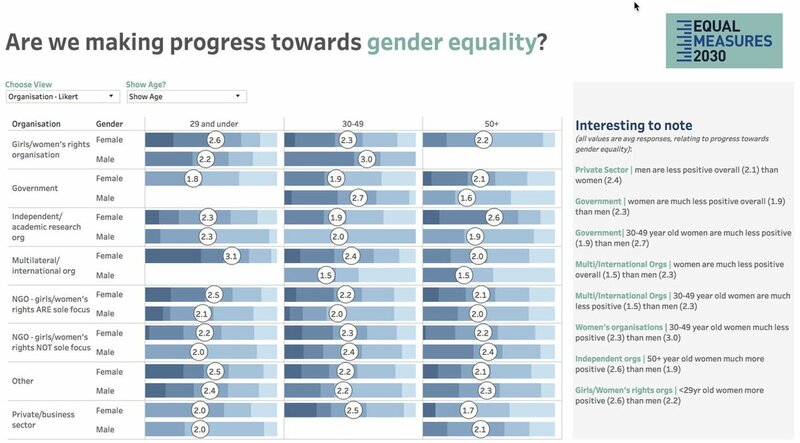 A Likert scale, sometimes referred to as a rating scale, measures levels of agreement or disagreement on a topic, typically on a four or five point scale. 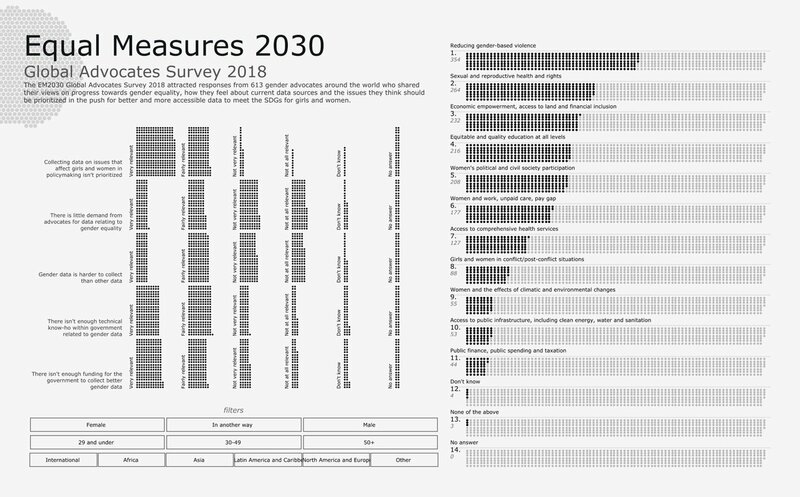 The best resource I know of for tips on visualizing survey data is from Steve Wexler’s website. 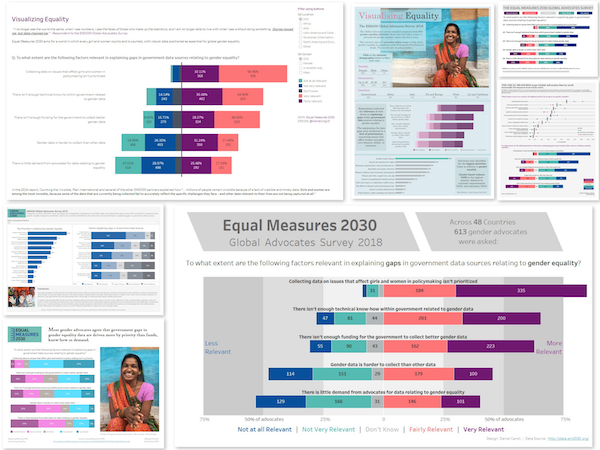 This is my absolute go-to resource when I need ideas or tips for how to work with notoriously difficult survey data. Thanks Steve for keeping up this page!